IOT activities are carried out around 25 days since August 18. If the "in orbit test" is successfully passed without constraints, it is expected that this satellite is ready for use in the third week of September 2018. Arif explained the Merah Putih Satellite launched from Cape Canaveral Air Force Station, Orlando, Florida, United States, carrying 60 transponders consisting of 24 C-Band transponders and 12 Extended C-Band transponders with a design life of 16 years. This satellite is planned to operate serving the territory of Indonesia and Southeast Asian and South Asian countries. 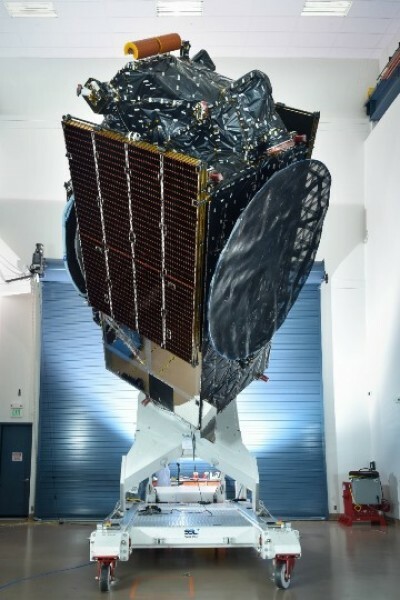 "We ask for prayers from all Indonesian people to smooth the entire technical process that must be passed by the Merah Putih Satellite, so that the satellite can operate according to the specified schedule," said Arif. The presence of the Merah Putih Satellite is expected to meet national transponder requirements, reducing digital divide in Indonesia. This satellite will provide broadband communication services in areas that cannot be reached by fiber optic technology or other communication systems, especially in the frontier, outermost and lagging (3T) regions.